This pic was shot on a Sunday morning. I liked the reds and orange of the tree. The red piece adorned with a thin garland on the tree has a photo of an Indian saint. 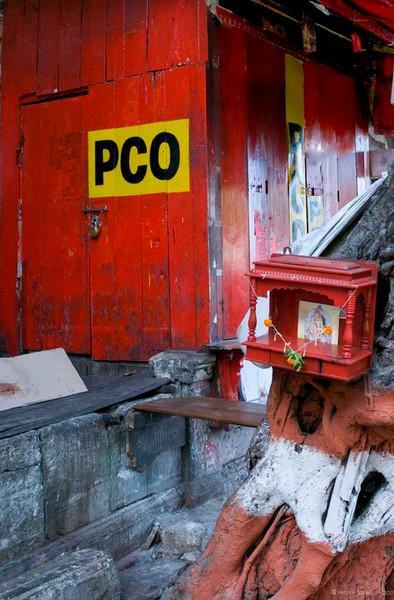 I like the paradoxical comparison between the almost defunct PCOs and the religious shrine! Very nice balance of color!